Since the beginning of marketing time, outbound marketing has been a cornerstone of most brands and businesses’ portfolios, using it to reach audiences and inform them of the benefit of their products and services. As times change, however, outbound marketing strategies become less and less effective; radio, TV, newspaper and mail marketing campaigns all produce less return on investment than ever before. Because of this, many brands are examining inbound marketing and the effects it can have on a mobile, web-friendly audience. 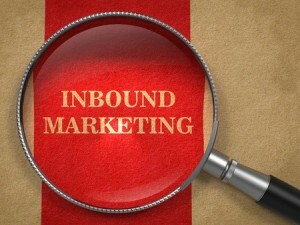 Much like the internet continues to change, so will inbound marketing. Below, we’ll discuss some ways in which inbound marketing is poised to change over the next five years. Over the past few years, we have seen a clear trend toward mobile devices becoming the predominant method through which people obtain information. Google recently reported that for the first time ever, a majority of its search traffic is now originating through mobile devices. The same is now true for social media as well. When you consider the impact that mobile has had on email, social media and now search, it is impossible to avoid a future in which audiences will have to be persuaded through a mobile setting. Regardless of platform, mobile audiences are increasingly the ones who are pinging your website, reading your social media updates, and as a result, they are becoming the rule rather than the exception. In the age of unlimited unsolicited messages, email marketing campaigns must go above and beyond to bring attention to themselves. As of late, there has been a war of inflation of sorts with how often marketers send out emails, how aggressive they make their headlines, and so on. Over the next five years, brands will need to be smarter about how they convince individuals to join their mailing lists – primarily because of this current trend. As more and more people seek to thin out the number of emails they receive daily, it will require a smarter and perhaps more generous approach on behalf of marketers. By throwing in extras, freebies and exclusive content, many email marketing gurus insist that brands can weather the changing trends over the next five years. In order to attract a growing audience that has more choices than ever before, another key component and trend in the future of inbound marketing will be how brands relate to audiences. A primary trend we’ve already seen throughout all aspects of marketing is the desire to be “human”; as brands become more adept at reaching people, they simultaneously are figuring out how to observe human interaction and reflect that in their marketing. Through 2020, expect to see more brands promoting themselves indirectly through charitable work, multimedia productions that tug on the heartstrings, and other inbound marketing strategies that ultimately make a brand seem more like a person. If you are looking for ways to ensure more people are pinging your website through inbound marketing, then the humanization of your marketing efforts should be at the top of that list.